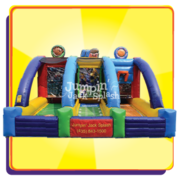 When you are putting on an event with a large crowd, sports games are a great addition to bring unique and healthy competetive fun to the event. 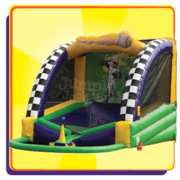 When you add one of our unique inflatable sports games to the event you are not only adding an additional element of fun but you are increasing the safety of the event. By adding items that will spread out your crowd, you will have fewer people on each event item; line lengths will be shorter, and there is greater liklihood that attendees will have a more positive experience. 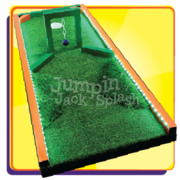 At Jumpin Jack Splash, we specialize in Big Fun! 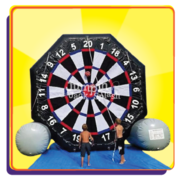 Try one of our Giant Yard Games like the Giant Connect-4, Giant Horseshoes, Giant Jenga, or Giant Uno. 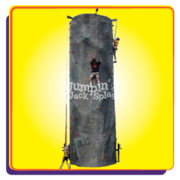 These games bring a larger than life amount of fun for everyone! We are a full-service party rental company; if you require tables and chairs or a canopy, we can provide those as well. Don't forget all the fun foods like sno-cones, cotton candy, popcorn machines, or a hot dog roller grill or a hot dog steamer.